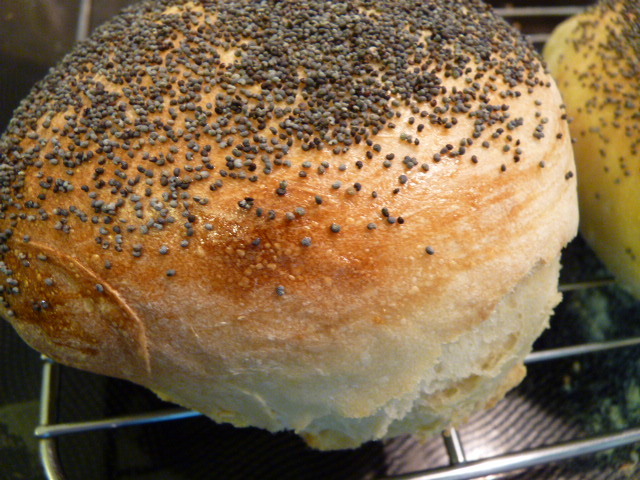 Poppy seeds have always been among my favorite bagel flavors. When I started making my own bread, they quickly became among my favorite bread toppings as well. 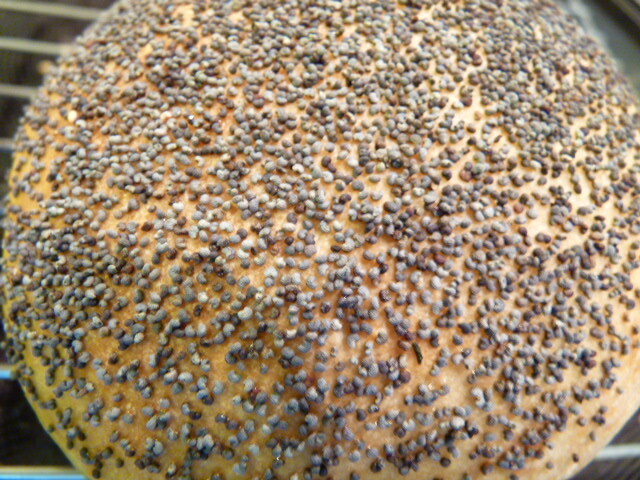 Poppy seeds are so pretty and add a very mild flavor and pleasant crunch to breads. This is a very simple recipe: it uses my Classic French baguette recipe. 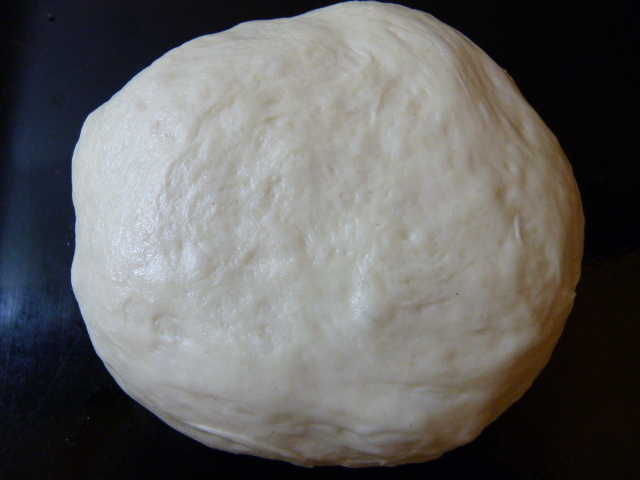 Follow that recipe as far as pressing out the air from your risen dough. 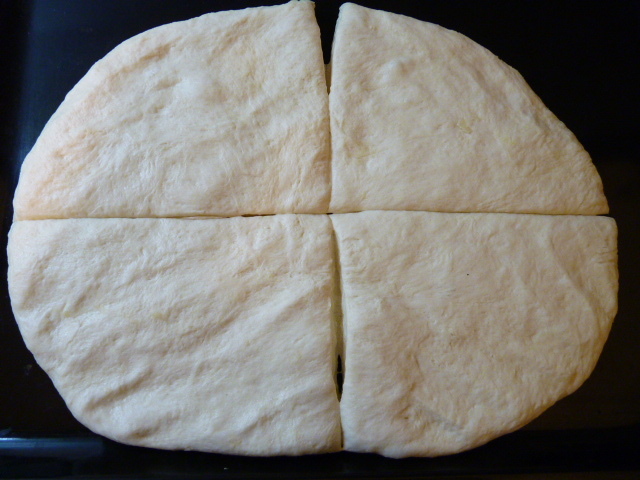 After pressing out the air, divide your dough into as many equal pieces as loaves. I like to make large round rolls with this recipe; it will make four large rolls. You can certainly double the recipe if you want more! Form the rolls into round balls. Place onto a baking sheet that you have dusted liberally with cornmeal. Set the balls of dough on the baking sheet and allow to rest, uncovered, for 45 minutes. Preheat your oven, on the convection (air) setting if you have it, to 250 degrees Celsius. Place an ovensafe bowl filled with water on the floor of your oven. This will make the crust crisp. After the 45 minute second rise, beat an egg and gently brush the tops of the rolls with egg. I use a pastry brush but you can use your finger if you don’t have a brush. Whatever you use, be careful not to press down; you don’t want to deflate them. 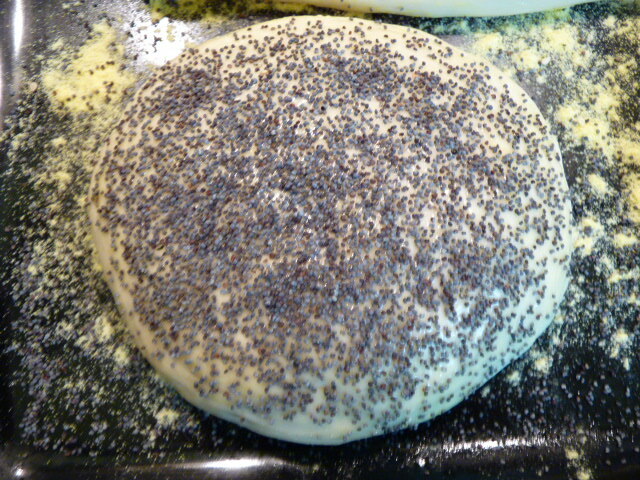 Sprinkle poppy seeds liberally on top of the rolls. Bake at 250 C for 5 minutes. Then remove the baking sheet, gently move the rolls around a little to be sure they aren’t sticking, replace the baking sheet in the oven, reduce the heat to 220 C, and continue baking for another 12-15 minutes. When they are ready, they will be golden and when tapped, they will sound hollow. 1. Proof yeast: put warm water in a large bowl. 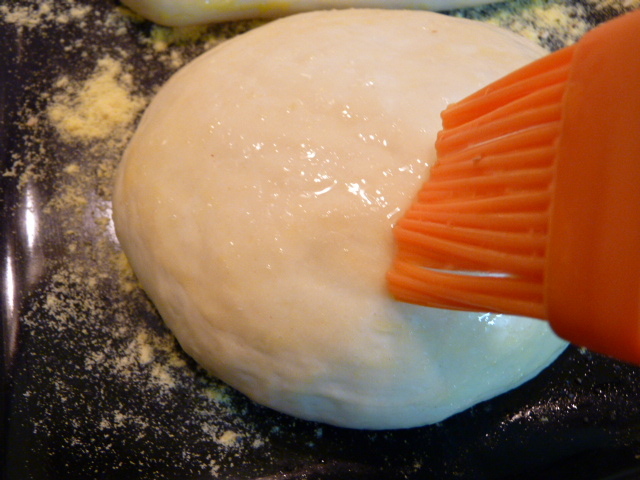 Sprinkle yeast and sugar over water and allow to sit 10 minutes until foamy. If yeast does not foam, throw it out and start over with new yeast. 2. 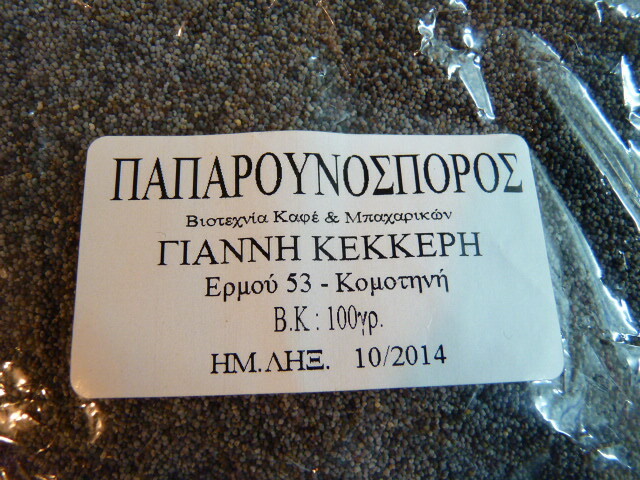 Put 250g flour in water-yeast mixture and stir. When combined, sprinkle salt over the mixture and stir to combine. Stir in remaining flour. 3. Flour your surface and hands. Turn out dough onto surface and knead 5 minutes til elastic. 4. Oil mixing bowl. Place dough in bowl and oil the top of dough. Cover with plastic wrap and a kitchen towel. Allow to rest for 90 minutes. 5. Dust a baking sheet with cornmeal. Press out air; divide into four equal pieces. Form into round balls. Place balls on baking sheet. Allow to rest uncovered for 45 minutes. Preheat oven (convection) with steam to 250 degrees Celsius. 6. Glaze with beaten egg and sprinkle poppy seeds. Bake 5 minutes at 250 C. Remove from oven; move rolls from original position to prevent sticking. Replace in oven and reduce heat to 220 C. Bake another 15 minutes or until golden and hollow-sounding when tapped on the bottom. 7. Set on rack for an hour before serving.